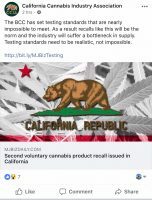 Just weeks ago, the first voluntary cannabis product recall occurred under California’s new regulations. 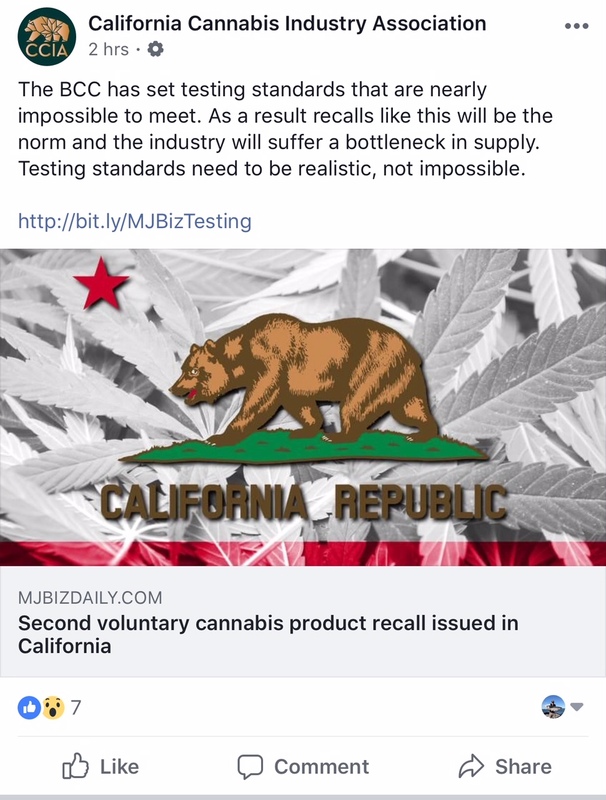 According to an article on MJBizDaily.com by John Schroyer, the recall for their vaporizer cartridges affects almost 100 dispensaries in California. We are working closely with the BCC to remedy this issue and expect clean, compliant products to be back on shelves in three weeks…. At Bloom, we are continuing to work with the BCC and other partners to ensure that the space is properly regulated and safe for all customers. Transparency and safety remain our top concerns and we will provide updates as additional information becomes available. We apologize for any concern or inconvenience this serious misstep has caused. We thank you for your continued trust and confidence in our products. Then, just days later, Lowell Herb Co. issued a voluntary recall on their pre-rolls. First reported by MJBizDaily.com, it appears the products initially passed multiple lab tests and was cleared for retail sales. Weeks after the batch passed tests, a laboratory reversed its decision, saying the products failed to pass the state’s testing standards. The contaminant in question was not mentioned. 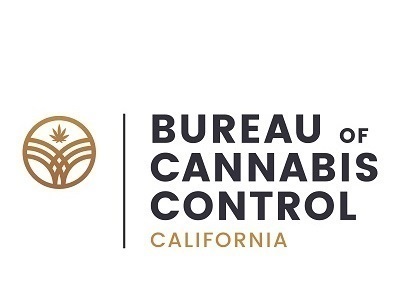 On July 13, California issued the first draft of their proposed permanent regulations, which would update and change the current emergency regulations. The proposed action levels for a batch to pass a pesticide test can be found on pages 105 and 106. The state’s regulatory bodies are holding public meetings on the proposed rules throughout August and stakeholders can also submit comments via email.